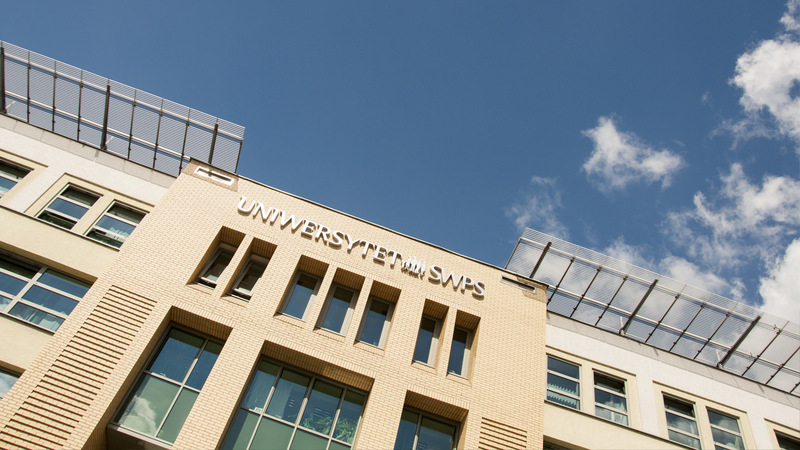 ETRA 2018 will be held at SWPS University of Social Sciences and Humanities in Warsaw, Poland. SWPS University, housed in the historic building of the High Voltage Apparatus and Devices Factory built in the 1920s, is located in the Praga District of Warsaw. Praga is one of the most iconic parts of the city. It is an area with rich history of working class neighbourhoods, big manufacturing companies and industrial architecture. It is famous for its adversity-defying character, pride, and artistic flair. The 25,000 meter square modern campus of SWPS University includes carefully renovated historical industrial buildings, which have been adapted to the current needs of the best private university in Poland. The campus offers spacious classrooms and lecture theatres, computer labs, simultaneous interpretation laboratory, and research laboratories with specialized equipment. Additionally, the campus houses the university's extensive library and a unique East Asia Collection that hold a variety of books, periodicals, audio-visual and study materials. The Warsaw Campus of SWPS University houses research laboratories furnished with state-of-the-art equipment for psychophysiological research, including: an eye-tracker for capturing eye movement, electroencephalograph for brain activity mapping, galvanometer to measure electrodermal activity, electromyography equipment for evaluating and recording of the electrical activity produced by skeletal muscles, and EEG amplifiers for the measurement of bioelectrical brain activity. The Warsaw Campus of SWPS University offers two restaurants serving hot meals, salads, desserts and non-alcoholic drinks. There are also a few bistros that sell sandwiches, pastries, snacks, soft drinks, tea and coffee. Additionally, there is a small news agency on the ground floor of the main building. There are several student zones, where you can relax or work. There are also 30 computer stations with free internet access, scattered in various parts of the campus for convenience. Psyche Books and Cafe is a scientific bookshop that offers publications on a variety of topics, including psychology, pedagogy, psychiatry, sociology, philosophy, business and economics, media and communications, and political studies. The bookshop also organizes interesting meetings with writers, researchers and journalists. Moreover, Psyche houses a cafe that serves aromatic coffee and delicious cakes and cookies. SWPS University of Social Sciences and Humanities is an equal opportunity institution and welcomes individuals with special needs and special access requirements. The Warsaw Campus provides free parking for individuals with moderate to severe motor disability and is equipped with ramps, a lift, and restrooms that meet accessibility guidelines. The Office for Health and Special Needs helps individuals who require assistance in moving around the building. Additionally, the library offers special equipment and software for visually impaired and all rooms are marked with numbers in Braille alphabet.